A teenager whose "Make America Great Again" hat was taken at a Whataburger received a new cap signed by President Trump, San Antonio's NBC affiliate WOAI reports. 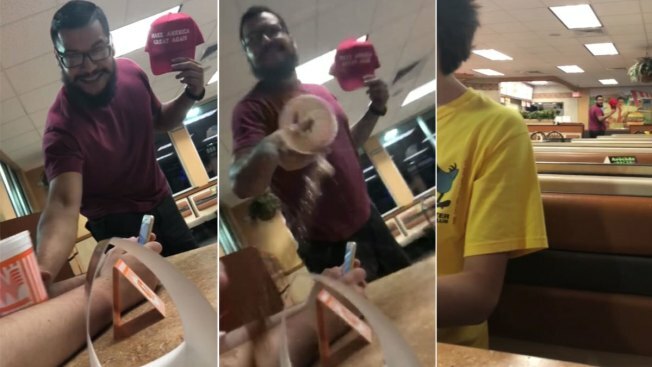 The video of 16-year-old Hunter Richard's "MAGA" hat being taken off his head at a San Antonio Whataburger went viral and caught Donald Trump Jr.'s attention. Trump Jr. tweeted he would send Richard a cap signed by the president, and ultimately followed through. The man who took the hat off Richard's head, 30-year-old Kino Jimenez, was later arrested and charged with theft.